The satellite was launched to provide better mobile communication across the country and also to boost the communications of the armed forces. In a major setback for Isro, the two-tonne class communication satellite which was launched on Thursday has “temporarily” lost contact with the ground station. The Indian space scientists are taking extraordinary efforts to establish a communication link with the satellite before it is lost permanently. In a statement on Sunday, Isro has said that they have lost communication with the satellite as it was preparing for the third and final orbit-raising manoeuver on Saturday. It is a high power S-band communication satellite with the similar features like GSAT-6 launched in 2015. Sources said the chances of retrieving GSAT-6A satellite are very remote. However, Isro officials were hopeful they can re-establish the link with the satellite and use it. 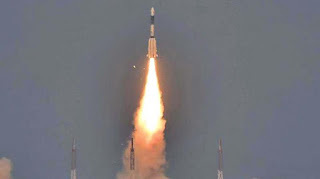 On Thursday, the 270-crore worth satellite was injected into temporary orbit and the satellite was subsequently to be taken to the final orbit after three orbit raising manoeuvres. The first orbit raising operation was carried out on Friday and the onboard liquid apogee motor (LAM engine) was fired for 36 minutes 46 seconds to change the orbit. Isro has termed it a successful operation as the intended orbit was achieved. The second operation took place on Saturday morning in which the LAM engine was fired for 53 minutes. But, there was no feedback as to the success of the operation. Sources said the communication with the satellite was lost after the second firing of LAM engine. “After the successful long-duration firings, when the satellite was on course for the third and the final firing scheduled on Sunday, the communication from the satellite was lost,” Isro said. Some reports had speculated that a failure in the power system or propulsion system that might have led to the failure. 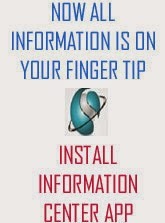 “After functioning of the second operation, suddenly the link was lost with the satellite. Now, our scientists in the mission control room are continuously trying to establish a link with the satellite,” Isro chairman K.Sivan told Deccan Chronicle. “Once the link is established we will put the satellite back into orbit,”he said. He further said a detailed data analysis is going on to see what happened and in parallel we are also trying to establish the link with the satellite. “First, we have to establish the link with the satellite and then only we can tell whether the satellite is useful or not,” he said on using the satellite for communication purposes.